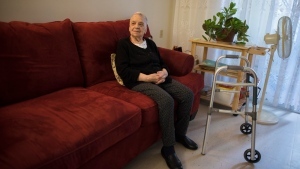 As temperatures drop across Southern Ontario, an anonymous do-gooder is trying to help keep Ottawa residents warm. 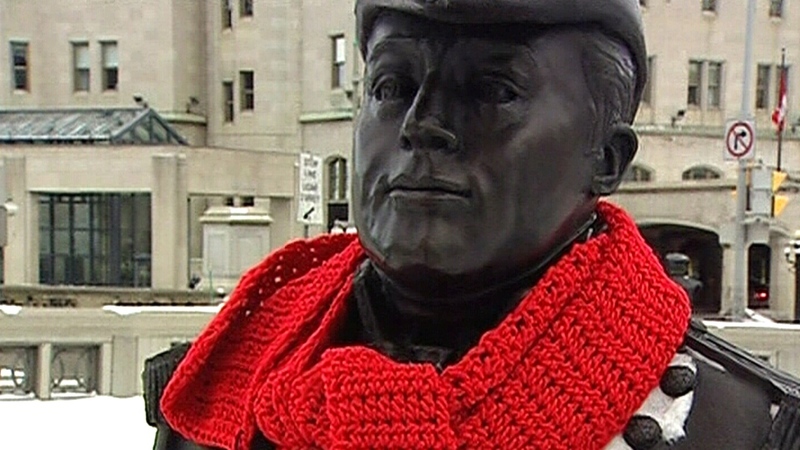 Yesterday, the mysterious Good Samaritan left 14 scarves wrapped around the necks of the statues of The Valiants Memorial on Wellington Street, outfitting Canada’s historical war heroes such with brightly coloured knits. Laura Secord’s received had a purple and turquoise scarf, knotted under her bonnet. The bust of Sir Isaac Brock was draped in red. Temperatures in the capital were about -20 degrees Celsius on Monday. Environment Canada has issued a wind chill warning for the city Tuesday, when Ottawa is expecting highs of -20 degrees and lows of -28 degrees overnight. In these temperatures, exposed skin is at risk of frostbite. The colourful campaign is getting lots of attention. A photograph of the bust of WWII hero Lieutenant Robert Hampton Gray, sporting a bright purple scarf, made it to the front page of Reddit yesterday. A similar project takes place in Winnipeg each year. This December, more than 200 hand-knit scarves were donated and wrapped around trees and lamp posts in the city Exchange District during the annual Chase the Chill “yarn bombing” campaign. Anonymous knitters also contributed many of those scarves. A mysterious Good Samaritan has been outfitting Ottawa statues with scarves as temperatures drop across the region.